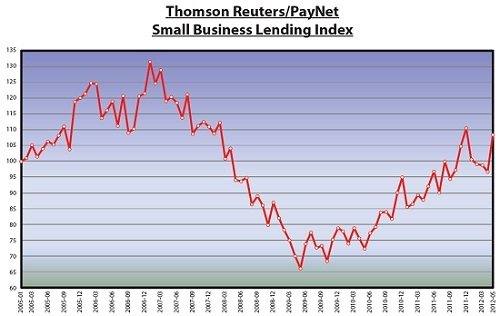 And there’s a risk that things could get a lot worse for businesses that don’t tie down their financing soon. We just published an article on Seeking Alpha that has received a great deal of attention with more than 14,400 page views so far. Our thesis is that the Fed’s zero interest rate policy has led to a situation where longer term treasury bonds are trading at yield levels that provide a spread to inflation far below the historical norms. Markets eventually return to their mean and often overshoot it so there is growing risk in the longer term debt market. Our concern is two-fold. First, that individual investors need to be aware of the potential impact of this return to the mean on the value of their investments and of the potential for further loss in the event of a resurgence of inflation. Second, un less the current market is different from historical patterns, somewhere in the financial industry, investors are likely succumbing to the temptation to make highly leverage arbitrage bets, borrowing short at near zero interest rates and lending long in treasuries, the mortgage market or in riskier corporate securities. That behavior led to the destruction of the savings and loans in the 1980’s and has never ended well in the past. As Reinhard and Rogoff taught us in their seminal work on financial crashes, This Time is Different, this time is never different. For some creative entrepreneurs, the financial pressures faced by smaller firms have been the catalyst for genuine financial innovation. In an economy based far more on services and human capital than on manufacturing and physical assets traditional bank underwriting and collateral requirements are out of sync with the needs of many small business customers. A number of non-bank lenders are working to fill that gap with new revenue and cash flow based loan products. We believe that this development has the potential to shake up the world of small business lending in a very profound way. We’ve published a detailed look at these developments on Capital Matters. Finally I’m pleased to report that Focus has recently made a major commitment to the still dominant providers of credit for entrepreneurial businesses, the community banking industry. Carl Raggio, a highly experienced community bank CEO, has joined us to lead the Community Banking and Financing Institutions team. We’ll be working to provide smaller banks with innovative approaches to capital raising and balance sheet management as well as playing an important role in the rapid consolidation of the banking industry over the next few years. Carl and I have published a comprehensive article focusing on the capital challenges faced by the community banks. These are only expected to get worse as the stringent Basel III capital standards are applied to domestic U. S. banks. As a result we expect that many of the smaller community banks will find it advantageous to merge into stronger, rapidly growing regional institutions with $1 billion or more in assets. This development will fill a gap created over the past decade and a half as many of the former regional powers were consolidated into the mega banks that now dominate the industry. The health of smaller banks is critical to the success of smaller entrepreneurial companies. While community and regional banks control only 8% of total bank assets, we estimate they are responsible for 40% of small business lending. As we develop the Focus community banking practice we’re reaching out to as many of these institutions as possible to better understand the current industry challenges. If you’re in bank management or on a community bank board of directors, we’d welcome the opportunity to share our perspective on the industry challenges and learn what you are seeing from the trenches. Please give us a call.